Our President since 2008 Julie is a long serving member (19+ years) of the TCAV Board, and is passionate about its cause, future direction and prosperity. 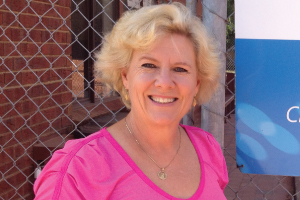 Julie was awarded Life Membership in 2016. She is the seventh Life Member of the Associations 60 plus year history. Julie was a touring player and one of the well known and respected Peters tennis family. She is Head Coach at Victory Park Tennis Club and has been a qualified TCAV Club Professional for 30+ years. Julie has travelled interstate and overseas with hundreds of junior players and now specializes in Mental Training. Robert Peterson has been a member of the TCAV since 1981 and has served on the Board since 1999. He was made a Life Member of the TCAV in 2012 in recognition of ‘his outstanding contribution’ to the TCAV. 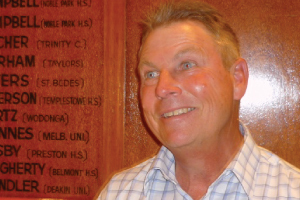 He is a former Victorian Schoolboys Champion and was for over 22 years the Club Professional at Heathmont Tennis Club. 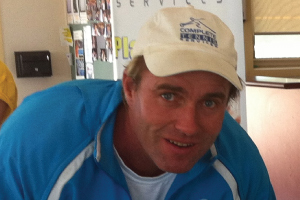 Robert is now working for Futures Tennis Academy based in East Malvern. He has attended a number of Tennis Conferences in the USA and has been responsible for the TCAV establishing a formal relationship with the USPTA for the benefit of both associations and particularly for TCAV members. Besides the portfolios listed under his photograph he looks after the Constitution and Annual General Meeting. He is passionate about the TCAV and the contribution it has made to the game of tennis in Victoria. Peter is the immediate past President, a Master Club Professional, USPTA Elite Professional, and a founding member of the National Coach Advisory Group. Peter in 2018 has returned as a Director of Tennis Victoria after originally serving from 2013 to 2015. He has been a full-time teaching professional for almost 30 years as Director of Toptenn Tennis Promotions and more recently Tiebreak Enterprises managing the national award winning Elsternwick Park Tennis Centre. Peter also won the Newcombe Medal for Coaching Excellence Club. Peter is passionate about Coaches having the support and tools to make coaching a career. He also is passionate about recognising the achievements of our Members and is managing the web-site. Please fell free to supply him with relevant content. Tim Connelly is a long serving Board Member and holds the Ethics and Social Portfolios. Tim’s company Complete Tennis manages the magnificent Hume Tennis Centre which won the Newcombe Medal for the Melbourne Open Wheelchair tournament in 2017. He also has won the Newcombe Medal for Coaching Excellence Hotshots. Richard is the full time professional at St Andrews Tennis Club. He looks after the Board Minutes and assists with the running of TCAV tournaments. He is an all-rounder on the Board and yet another member passionate about all things tennis. 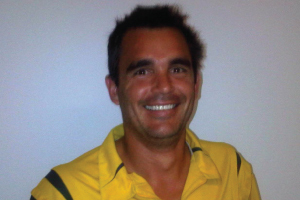 Dylan is a Tennis Australia Club Professional and the Head Coach at Hawthorn South TC, Koonung Tennis Club, and Our Ladies TC in Surrey Hills. Dylan has been seeking some sponsorship opportunities for the TCAV. Greg has been a long term member of the TCAV. Greg shared the TCAV Club Coach of the Year award in 2008 after a glowing submission from the Fountain Gate Tennis Club. Greg has been coaching the Scotch College Firsts tennis Team since 2015. Greg works throughout Europe on escorted tennis tours with a company called Tennis Euro, has done extensive work with Tennis Players with Disabilities and works and support several aspiring players from his Academy. AJ has been involved in coaching for over 20 years and has a rich knowledge of the game well beyond his years. He has coached in over 10 different countries and has also worked extensively with Tennis Australia and Tennis Victoria for many years. 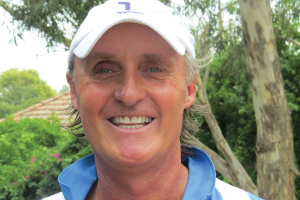 In 2015, AJ was rewarded the prestigious Newcombe Medal Award for Australian Hot Shots Coach of the Year and was a finalist for Australian Club Coach of the Year. 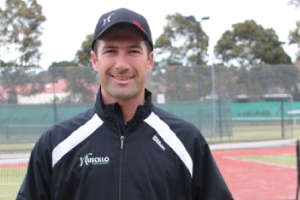 In 2016, AJ was awarded Victorian Club Coach of the Year for Muscillo Tennis Academy. AJ is a valued board member and is very passionate in supporting his fellow coaches from Victoria and offering advice and assistance wherever needed.